Rochester friends, this community discussion is happening on Jan 26th at the M.K. 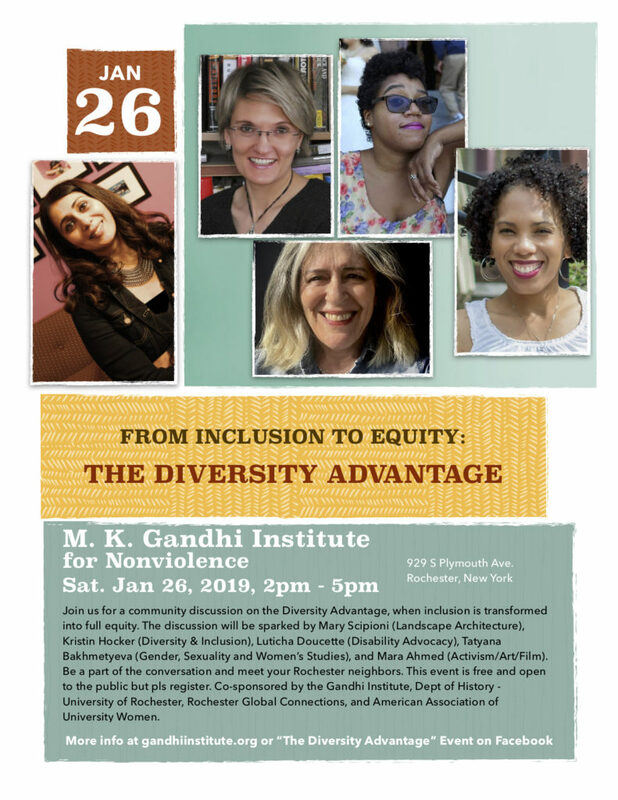 Gandhi Institute for Nonviolence, with the support and co-sponsorship of AAUW Rochester, Rochester Global Connections and the Department of History at the University of Rochester. This will not be your usual conversation on diversity but rather a paradigm shift where equity becomes a powerful advantage. We will be looking at that advantage from different points of view, explored by specialists in those fields. Pls mark your calendars and add your voice to this convo. Hope you can join us!